POLICE are hunting a highly skilled "serial bomber" after a fourth explosion rocked a US city, with two killed and four injured in the blasts. 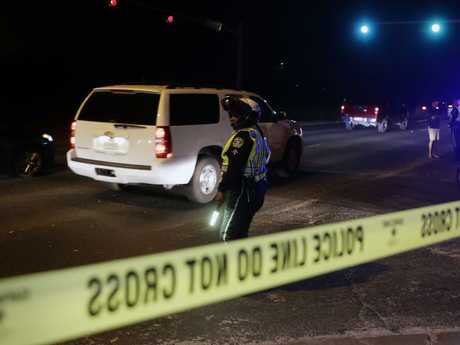 Sunday night's attack in Texan capital Austin left two young men seriously injured, with the mystery bomber this time using a trip-wire, revealing a "higher level of skill". "Is this terrorism? Is it hate-related? As we said from the very beginning, we were not willing to classify this as terrorism, as hate, because we just don't know enough." In the first bombings, two African-American men were killed by packages left on their doorsteps, raising the possibility of a racially motivated crime. A 75-year-old Hispanic woman was also injured in a blast. 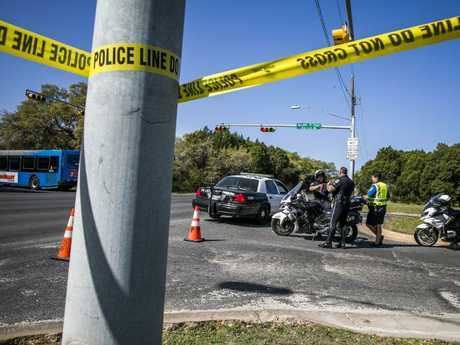 But Mr Manley said the latest bombing had seriously injured two white men aged 22 and 23 as they walked along a road in a quiet residential neighbourhood of southwest Austin. He said it appeared "random" and was triggered by a trip-wire, which showed a "higher level of sophistication" and skill than the bomber had shown before. "What we have seen now is a significant change from what appeared to be three very targeted attacks to what was last night an attack that would have hit a random victim that happened to walk by," the police chief said. "We've definitely seen a change in the method that this suspect or suspects are using." He asked the suspects to come forward as police increased a reward for a tip leading to a conviction to $150,000. "There are innocent people getting hurt in this community and it needs to come to a stop," he said. FBI Special Agent Christopher Combs said the trip-wire showed this was not about individuals. Austin Mayor Steve Adler asked residents to remain vigilant after the string of bombings left the Texas capital on edge. "What we really need people to do right now is to be really vigilant," he told CNN. "We've widened the warning. We don't want people to go near anything that looks suspicious." 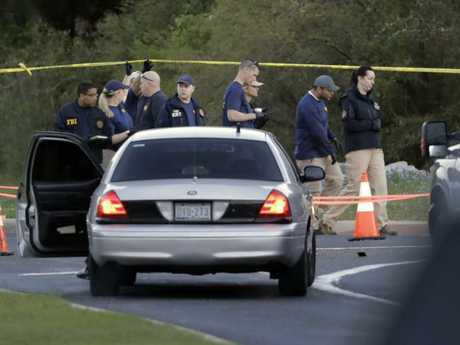 Hundreds of agents are investigating the Austin bombings, including forensic investigators, criminal profilers and experts from the FBI and Bureau of Alcohol, Tobacco and Firearms. "I am in a community that's feeling a lot of terror right now," said Mr Adler. He said the manhunt for the bomber was the "highest priority", with an "army of federal agents" and state resources dedicated to the task. "We're going to find out who is responsible for this and we're going to stop it," he said. The first exploding package on March 2 killed Anthony House, 39, before Draylen Mason, 17, was killed on March 12 and the Hispanic woman was critically injured the same day. All the cardboard packages were hand-delivered, and the bombs were built with household items bought from hardware stores. 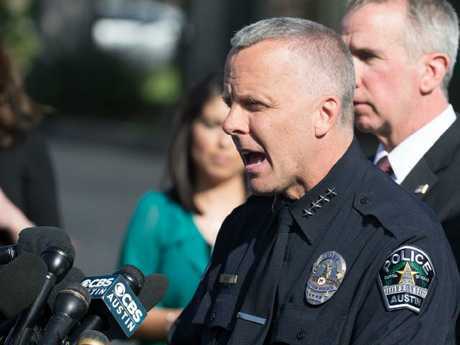 The city's police have responded to some 700 suspicious package calls since the reports began, according to the Austin-American Statesman newspaper.